Please note this beautifull updated book of the Human Society of The United States about a Trap Neuter & Return guide for stray cats. Anyone involved in stray cats should read this! Study on Mast Cell tumours in cats and dogs. New uploaded: a great study about Mast Cell Tumours in cats and dogs. Very interesting te read! See mctguidelines! 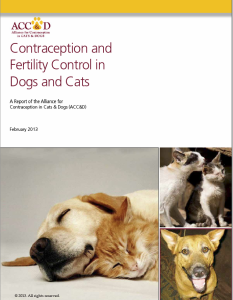 The ACC-D made a tremendous effort on publishing a report on Contraception and Fertility Control of Dogs and Cats in February 2013. The reports are very complete and there is information world wide. See Contraception and Fertility Control in Dogs and Cats van Acc-d febr 2013! Volunteer veterinarians are now welcome in Greece!